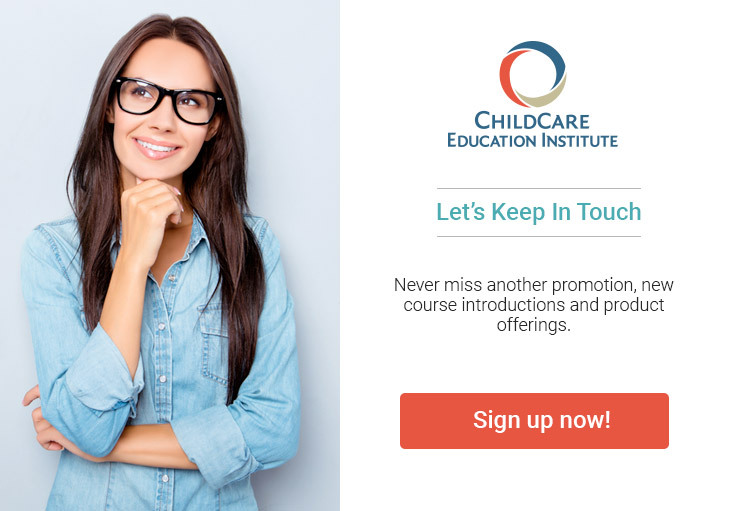 ChildCare Education Institute’s (CCEI) professional development courses are designed to provide students with generally accepted child care practices and training based on research in the field of early childhood education. Courses are written by early childhood experts, including courses by authors Rae Pica and Dr. Pam Schiller just to name a few. The Individual Annual Online Training Subscription is now 50% off. Get Started Now! National Accreditation by the Distance Education Accrediting Commission (DEAC). *The CCEI offer listed above expires September 9, 2018. Product Code 1-SUB-PD applies to Promo Code DAB50OFF. CCEI offers cannot be combined with any other offers or used for subscription renewals. Offer valid on new subscriptions only.